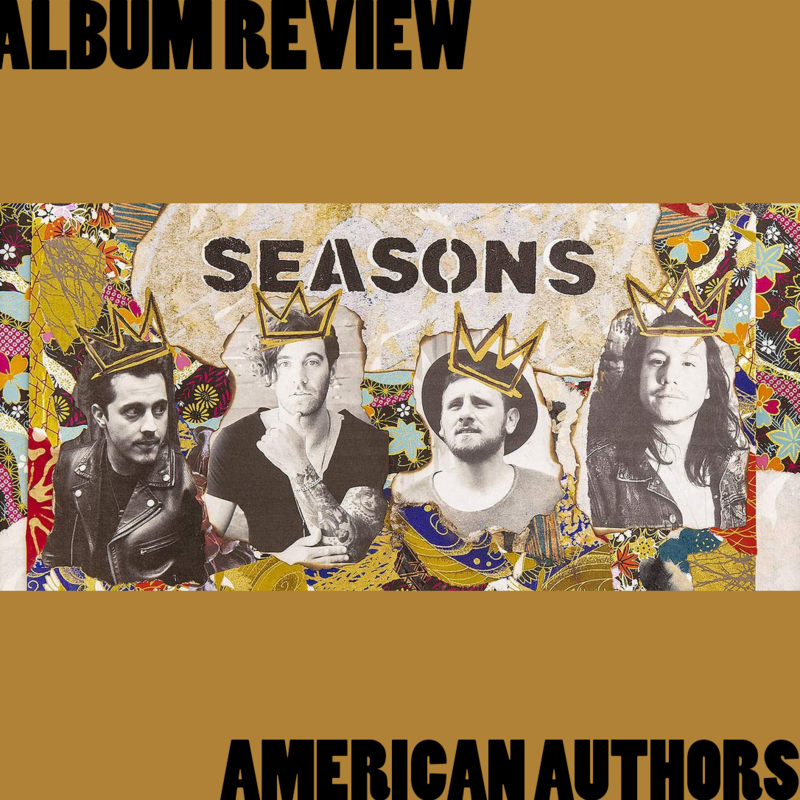 “Seasons” represents a new chapter in American Authors’ style, proving that they have the tools to skillfully navigate various styles of music and living up to American Authors’ overall legacy. Originally dubbed Blue Pages, the New York-based rock band American Authors was established in 2006 and skyrocketed to popularity after the release of their 2013 song “Best Day of My Life.” Known for their cheerful themes and upbeat melodies, American Authors exists in the same poppy rock genre as WALK THE MOON and X Ambassadors. As they move forward in their musical career, American Authors is cultivating a bluesier, more gospel sound, comparable to folk-rock bands such as The Lumineers and Mumford & Sons. The album’s first track starts strong. From the get-go, “Stay Around” establishes the album as moderately different to their first two, setting up the downbeat mood carried out in the rest of the songs. Track four, “I Wanna Go Out,” stands out as a break to the nitty-gritty, a callback to American Authors’ earlier works. Other noteworthy songs are “Can’t Stop Me Now,” a tribute to the arena rock bands of the ‘70s and “Real Place,” which serves as an exemplary bookend the the album. As the last of the slower songs, it provides a contrast from the fast-paced opening of “Stay Around” and brings the album to a narrative close.